Create the Perfect Acidic Conditions, Naturally. Some of the most impressive shrubs—hydrangeas, blueberry plants, azaleas, spruces, evergreens and more—require acidic soil, generally with a pH balance of 5.0-5.5. 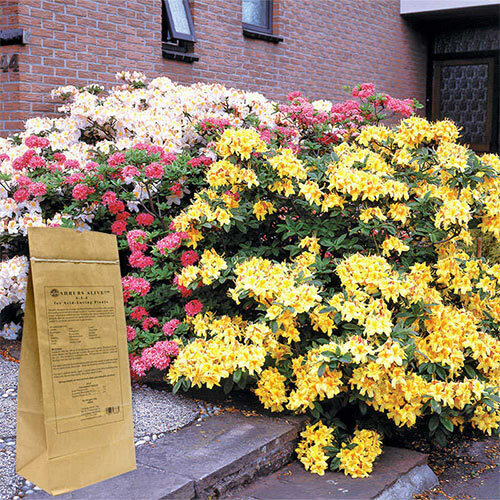 To get the best performance out of these plants, try Shrubs Alive!™ for Acid-Loving Plants. This formula promotes healthier roots and growth, plus ensures the correct pH balance in your soil. We've formed a strong partnership with Gardens Alive!, a top provider of all-natural fertilizers since 1984, to bring you the best fertilizer at an affordable price. This food doesn't just ensure your new acid-lover grows to its best potential, it also ensures your soil is healthy, well-draining, hummus-enriched and full of healthy microorganisms for long-term success. 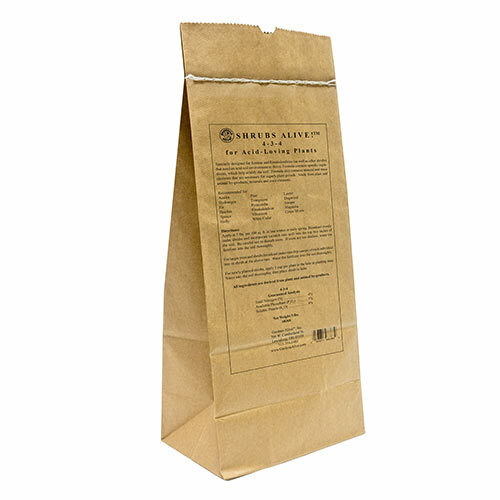 This 5-lb bag will cover 100 square feet.